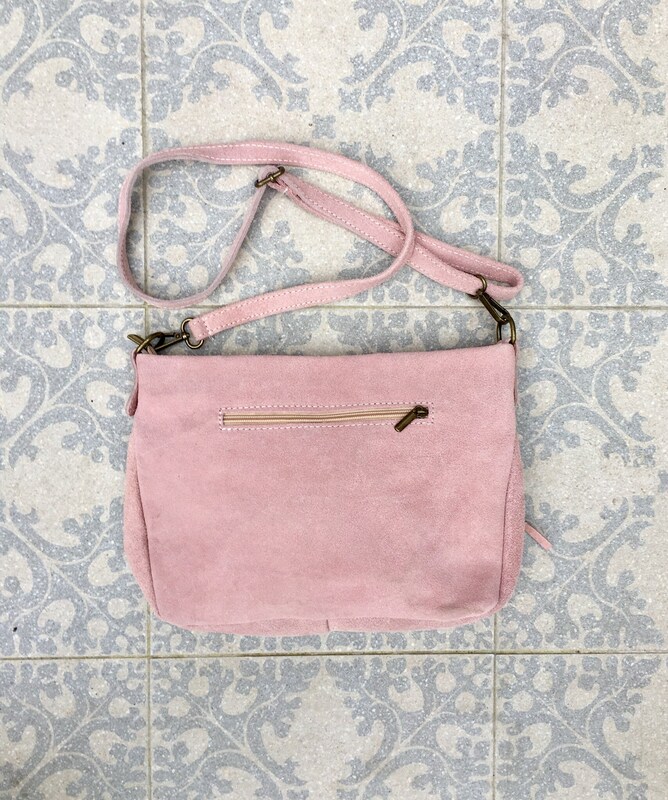 Boho suede bag in PINK. Messenger genuine leather bag. 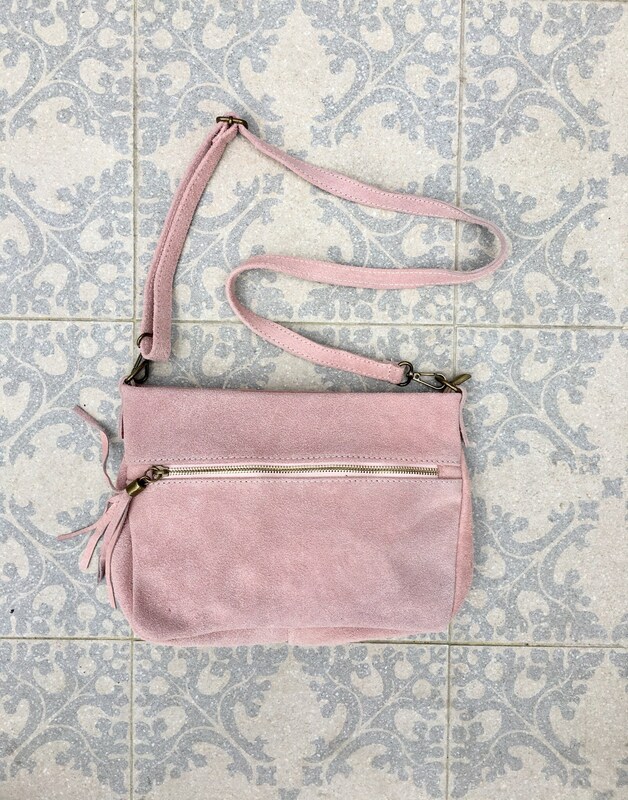 PINK cross body bag with tassel accents . Large enough to fit any ipad and most tablets, books, etc. 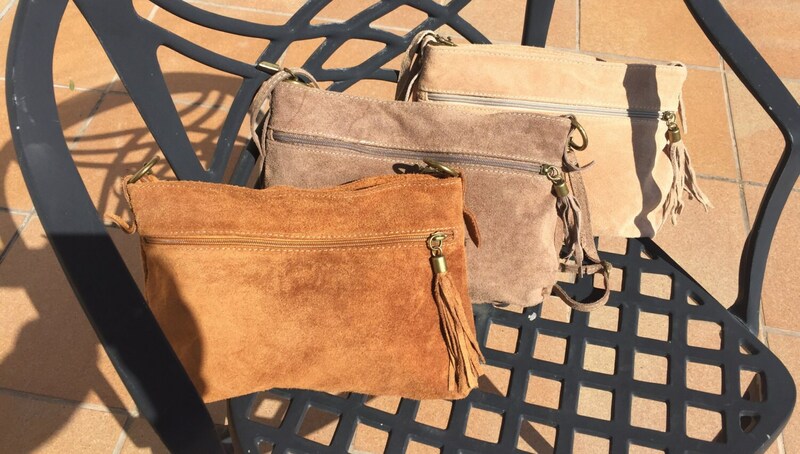 Made with natural genuine suede leather. 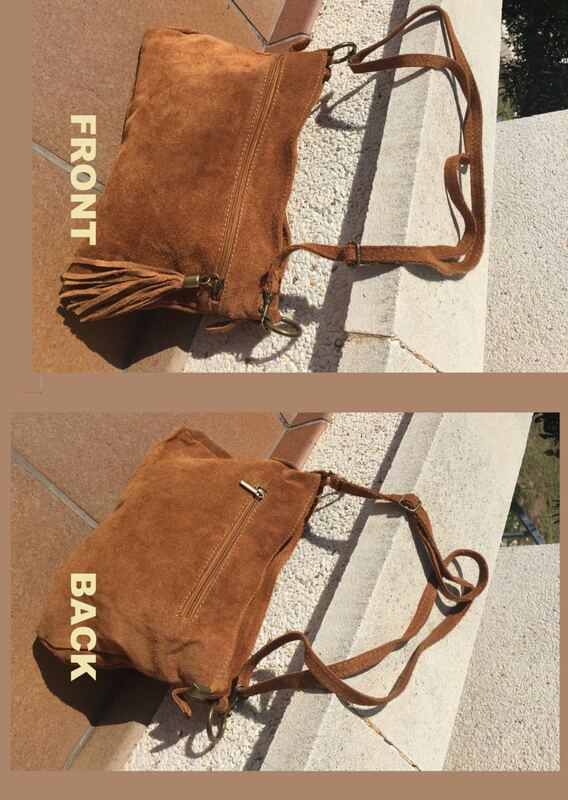 Festival bag in suede, casual or school bag.